The starting point of Segway Rotterdam is at Parkhaven across from the Euromast (navigation: Parkhaven 20) see the card below. 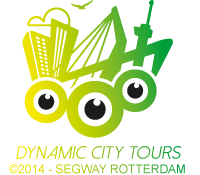 Would you like some more information about Segway Rotterdam or do you have any questions, please do not hesitate to contact us via this form. Reservations can only be made online. Cash Free: Tickets can be reserved and paid online. Payment at our location (restaurant De Zwarte Zwaan) is only possible with a debit card or a credit card.